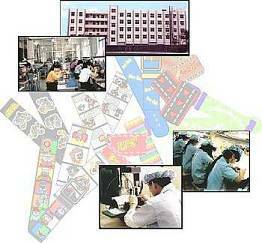 Our watch strap factories feature the most complete assortment of synthetic and various leathers. We offer watch straps with creative graphic designs in cotton, magic tape, PVC, nylon as well as the traditional leather style. Our high quality leather straps offer features with remborde construction, water resistant nubuck linings, reinforced lug-ends and nickel free stainless steel buckles. 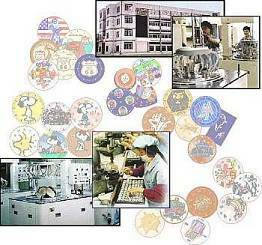 Our affiliate Hong Kong watch dial factories have precision machinery and technology fom Japan and Switzerland which produces extremely high quality dials, in particular etching dials, enamel with applied indexes and luminous enamel with applied indexes. Our dials compare favorably with similar high quality products from Japan and Switzerland. Our dial production has earned the trust and confidence of watch manufacturers from around the world. ss We proudly introduce an innovative technology in making watch hands with unique designs. Small details can make a big difference in the appearance and quality of watches. The specially designed hands that are produced draw attention to the graphics on the watch dial. Our specially designed watch hands are crafted with a high degree of expertise. Diamond cut with smooth and clean edges are made to fit the watch dials accurately. Mirror finishing gives our watch hands a brilliant shine that lasts.